How Life Works is illustrated with 90 of Andrew's trademark sketches. "My cartoons illustrate the message", says Andrew. "Cartoons also remind us not to take life too seriously." 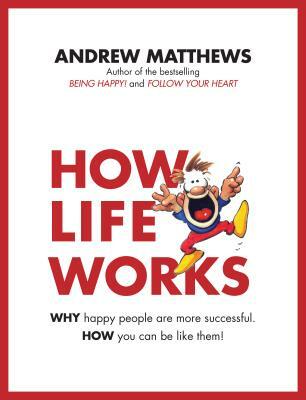 Andrew Matthews is a speaker at conferences worldwide on happiness and prosperity and is the author of a range of popular self-help books that have sold in 43 languages, including Being Happy! and Follow Your Heart. He has addressed over a thousand corporations over five continents, from banks, hospitals, government institutions and IT companies to prisons, universities and schools. His specialty areas include life-work balance, embracing change, dealing with disasters and achieving success. He is based in Queensland, Australia, and he has appeared on over 4,000 TV and radio programmes.